Sugar Byte’s Aparillo is a very unique synthesizer. Delivering powerful textural and organic sounds extracted directly from the microbiotics of synthesis. Aparillo is based on two interacting FM Synthesizers, capable of forming the most complex timbres. The synthesizer is 16-voice-unison, meaning you can play one note at a time, consisting of 16 individual synth voices. 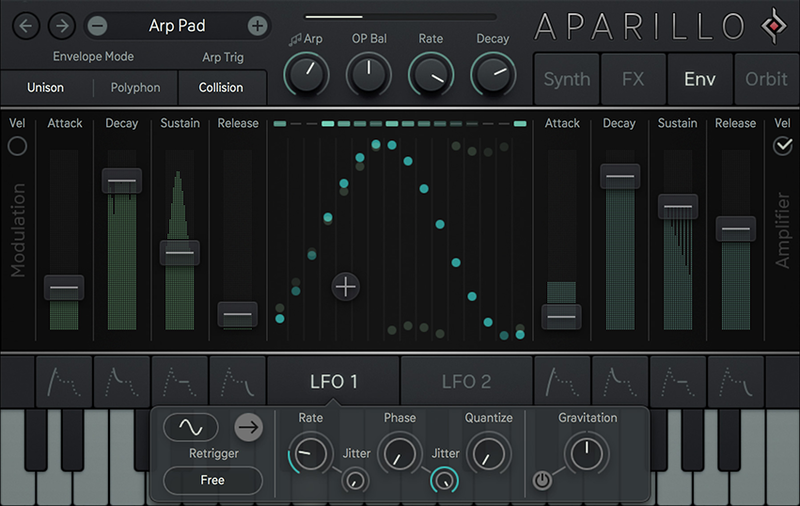 Combined with the polyphonic double LFO which also includes FM, this brings you the ability to create extremely complex original sounds.. Aparillo is a synthesizer that has endless possibilities, capable of creating dramatic orchestrations, unique soundscapes and quality sounds. Aparillo’s user interface is extremely intuitive. The GUI follows the structure of the sound. On the ‘Synth page,’ there are two FM operators, represented mainly by their Ratio and FM Amount controls on the left side. In the middle, there is the LFO and Arpeggiator. On the right side you can find the Form, Jitter, Brightness, Operator Balance and Level controls. 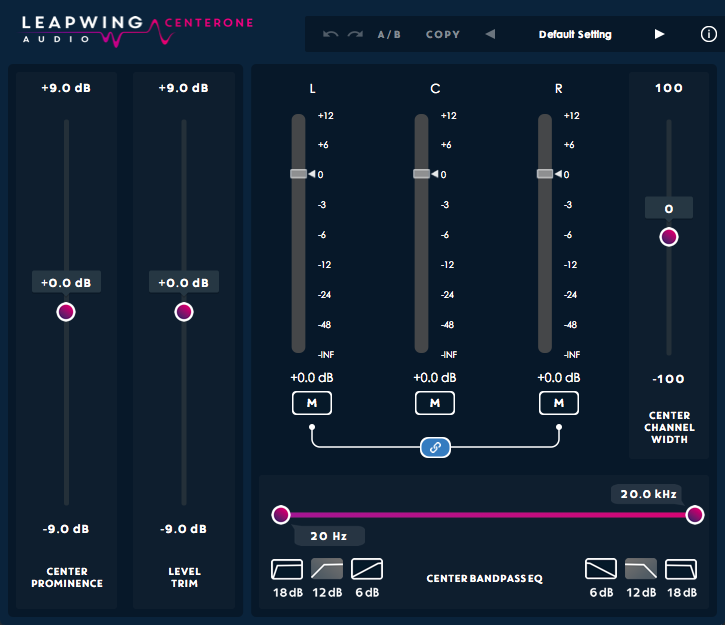 On the FX page, the user will find Aparillo’s effects engine: Filter/Spacializer, Pan, Delay and Reverb. The Envelope page offers envelopes and their ADSR controls for Modulation and Output. The Orbit Page will give you the Orbit with all its magic. 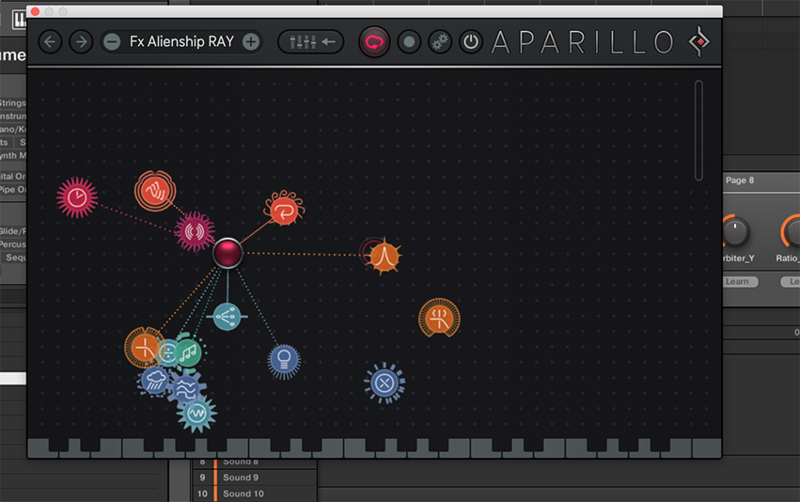 Aparillo is a very powerful and capable synthesizer. 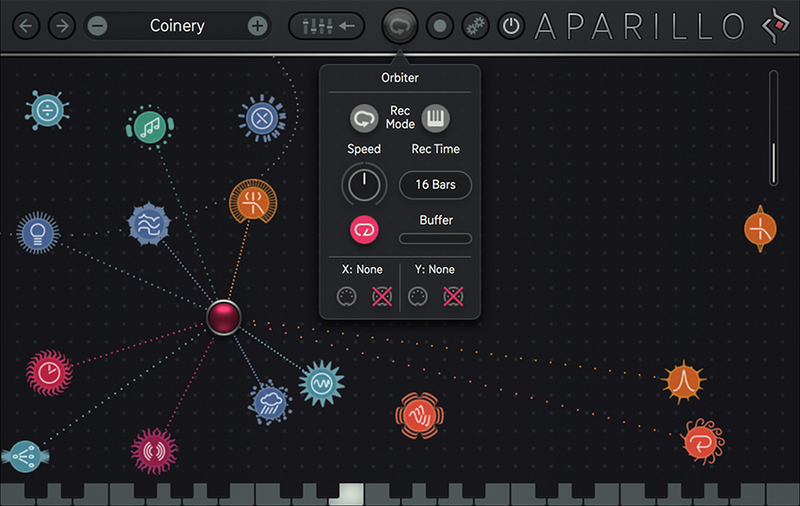 With extensive capabilities, Aparillo provides the user with complete control of shaping their own unique sounds. The signal generator has been enriched with fine DSP spices like Jitter, Brightness and Format/Waveshaping, followed by a free-signalflow Filter/Spacial Comb device, flowing into a polyphonic Auto Pan, the obligatory Delay and an advanced Reverb algorithm. The arpeggiator adds another layer to the sound, extracting synth voices on its own and playing them back by different rules, mostly based on what the LFO is doing. There are two complex LFO circuits running in Aparillo, these were the initial backbone of the product idea. While 16-voice unison FM provides a lot of possibilities already, the LFOs put these 16 voices at work and make them dance. Aparillo’s output has three distinctive layers of sound: The Synth, The Arp and the Spacializer. The Synth page is made up of the FM engine. The FM engine follows the classic setup: two operators, each with a modulator and a carrier wave. The operators’ ‘ratio’ and ‘amount’ control the harmonics of the output (ratio) and the intensity of modulation between the modulator – and carrier-wave (amount). The arpeggiator engine creates signals of its own. It’s not your typical note sequencer, more of a dynamic selector picking the raisins from the polyphonic audio dough. The Spacializer is a very special breed of delay based effect, which can work as a delay, reverb or tuned comb filter. 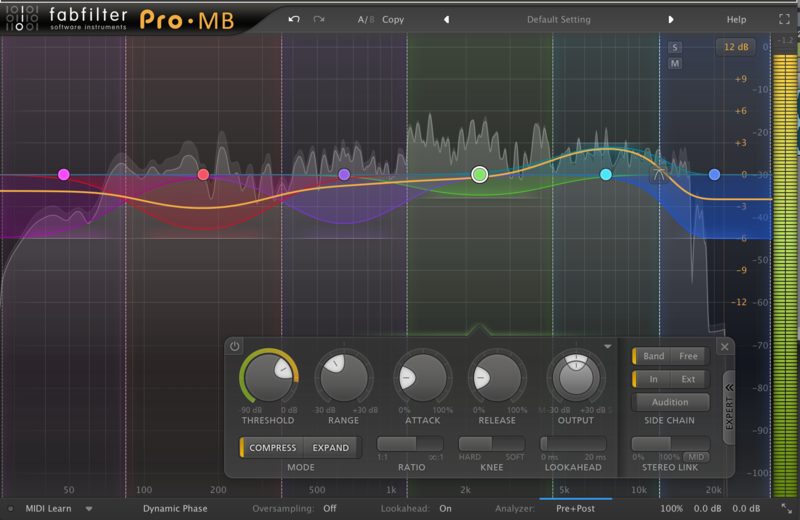 Here you can add room, plucked strings or even pinged percussion to your sound. 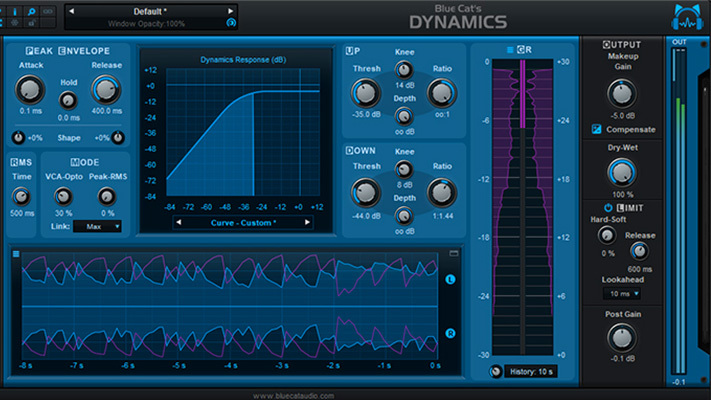 The Orbit page gives the user a bi-polar amount control for 15 parameters across the instrument. The circle shows the current radius of your project. The dotted line indicates that the Orbiter object is within your radius and shows the connection to the Orbiter. The object will draw an animation if the Orbiter is in radius, and the animation will become faster as closer as the Orbiter comes to the object. The Orbiter features its own settings screen, so you can manage its options, also while the Orbit is moving around. It handles parameters related to the Orbiter-automation features. The Orbit works as a touch controller, but it can also record your mouse movements or save an Orbiter position for each of your 128 possible MIDI keys. The Orbit page is distanced based, move the Orbiter object around the cosmos for gravitational effects on the parameter amounts. Once the Orbiter enters the perimeter of a parameter object, a link between the two is established. The Orbiter’s gravitational impact is close to zero on the perimeter, close to max near the centre. Moving the Orbiter around the cosmos will affect several objects at once with ever-changing intensity. The easiest method is just grabbing the orbiter and move it around by hand. One unique function within the Orbiter is the randomize function. Click objects to randomize the object positions. Amounts sets random amounts for your object. Radius randomizes the radius of the object. MouseRecorder creates a random Orbiter animation. KeyRecorder creates a keyboard full of 128 different Orbiter positions. 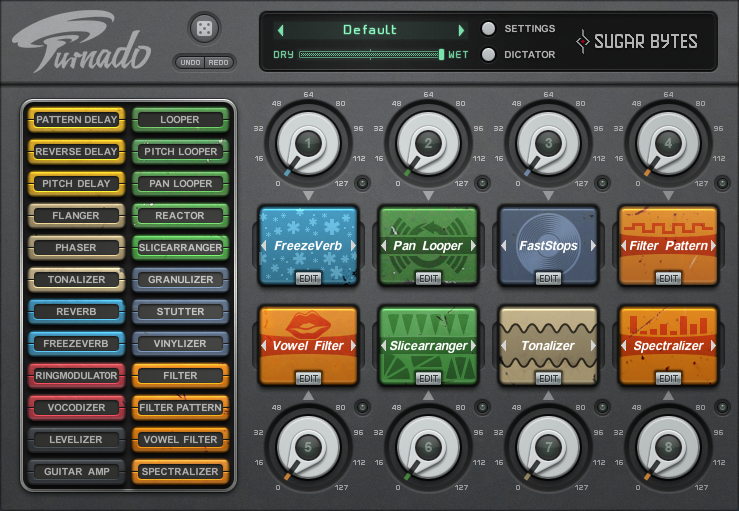 The randomize function truly allows the user to create a dinstinct and one of a kind sound or soundscape. The ‘decay knob’ has a major impact on the Arp’s sonic character. The 16 Arp indicators will give you visual feedback on the duration of each of the 16 voices. The ‘feedback fader’ will build a wall of reverb but also is your entry to the weird realms of modal synthesis. The Spacializer, at small size and high feedback, its starts to ring and produce pitch. When the Spacial Range is set to ‘pitch,’ the size is connected to the pitch engine, adding tuned notes, based on the pitch you play and the spread/scale engine. 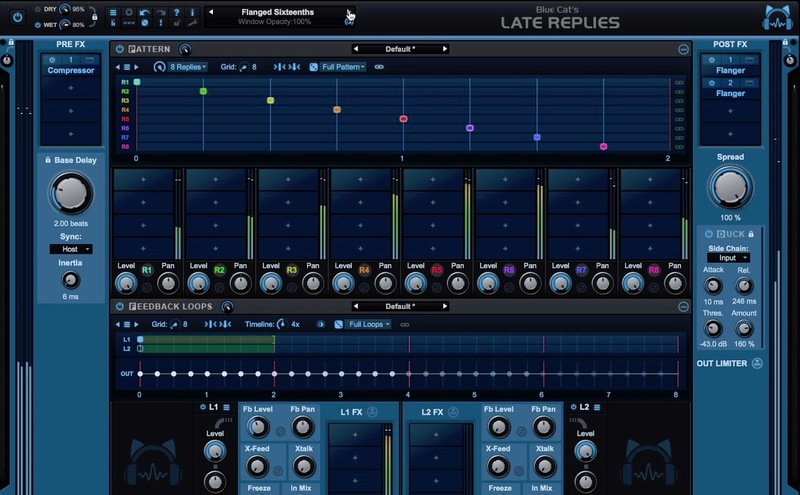 The arpeggiator can trigger more than one voice at once, if not in clock mode. This produces sound that can be mixed with the polyphonic synthesizer signal. The Arp displays blink up when a trigger is received and they fade out according to the decay time. That makes it easy to see what is going on in your voice trigger setup. Aparillo has the most inspiring presets I have used in a long time. The library of presets illustrates the full capabilities of the synthesizer. Presets ranging from keys to brass to drums and percussive sounds is a true testament of the power of Aparillo. I found myself coming up with new creative ideas for soundscapes and sounds I would have never thought possible if it was not for Aparillo. My personal favourite collections of presets are the ‘Embrays Hollywood.’ I really appreciated how each preset was labelled to capture the true essence of the sound. For example, if the user wants to create a soundscape that sounds like it is out of a 70s sci-fi movie, there is a preset entitled ‘Fx 70s TV Show’ which provides the user with a great starting point to creating their own unique sound. Aparillo’s GUI is extremely easy to navigate and comprehend. After a few hours of use I found it became intuitive and enjoyable to create my own sounds. Not to mention, the interface is great to look at in the sense that the layout is well designed, colourful and each function is easy to manipulate. One thing I think Aparillo could improve on is roll over descriptions. When I am in the process of learning a new plug-in, I always find it beneficial to have short descriptions of the functionality of various components in the GUI. I believe it allows the user to immerse themselves into the GUI without having to look at the manual as much. However, the manual is very informative and explains all Aparillo’s functions very clearly. 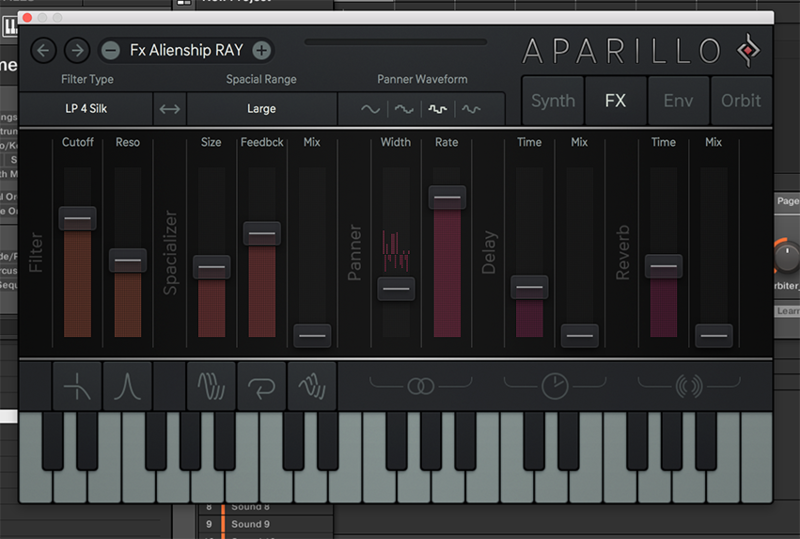 One great thing about creating sounds in Aparillo is, each LFO, FX, Envlope, etc. is controlled by a ratio fader. This gave me a very visual understanding of how I was manipulating the sound thus enabling me to create my own unique sounds very quickly. My favourite part about Aparillo is the Orbiter. I have never seen, nor used something like it before. 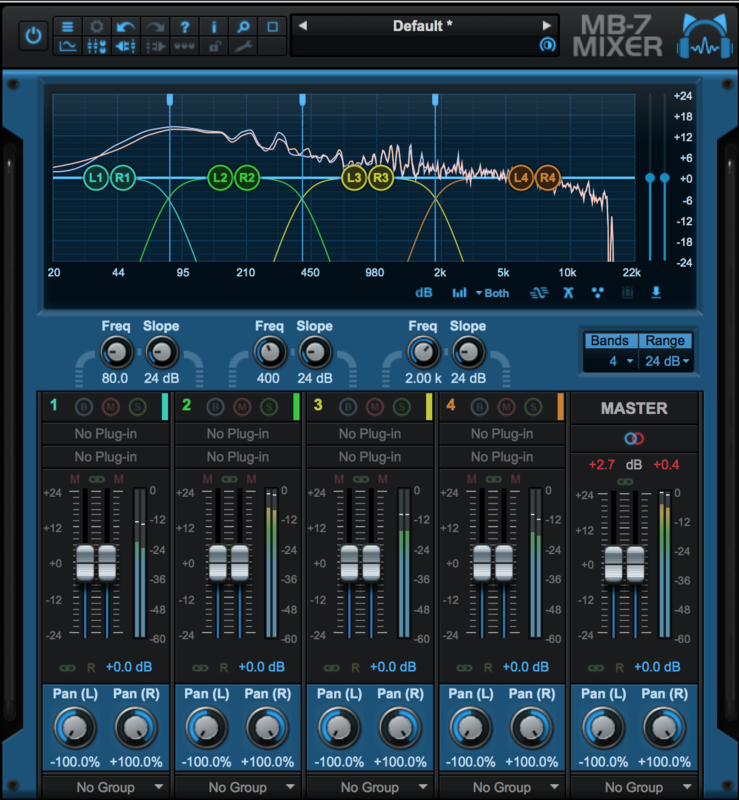 It is an extremely hands-on way to build and manipulate a sound. On top of that, the randomize feature of the Orbiter really helped me understand how the Orbiter functions in addition to giving me new creative ideas. Each modulation in the Orbiter is easily manipulated. 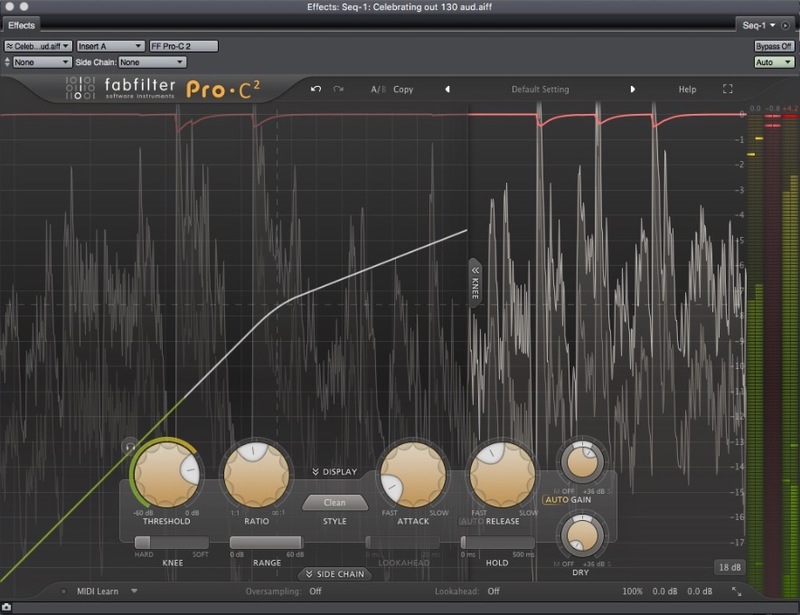 A right-click opens up the parameters of the specific modulation allowing you to edit it right in the Orbiter. 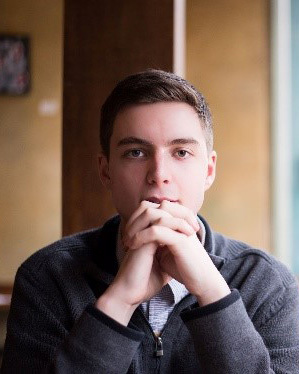 This feature is one of the many that contributes to Aparillo’s ease of workflow. The user isn’t stuck flipping back and forth between pages to make changes to their parameters. Furthermore, the MIDI and mouse ‘record’ capabilities of the Orbiter are incredible tools to create really interesting sounds. Overall, I was very pleased with this synthesizer and believe it should be in the tool box of any composer, musician, or producer. The possibilities are endless. The user truly can create almost any sound they desire. I look forward to continuing on using Aparillo in my production setup.